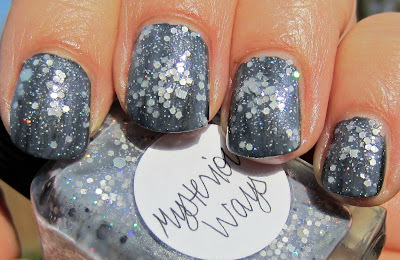 Lynnderella Mysterious Ways is one of the polishes from her most recent collection, Funny Money. 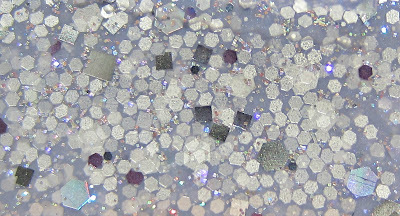 The official color description is spot-on, saying that "It features a grey-violet base with multi-coloured shimmer, white, silver, gunmetal and holographic hexagons, diamonds, squares and dust. The holographics look amazing peeping out of the translucent grey. Like buried jewels." I used two coats over Revlon's Mistletoe, a dark grey shimmer filled with very fine green and silver micro glitter. 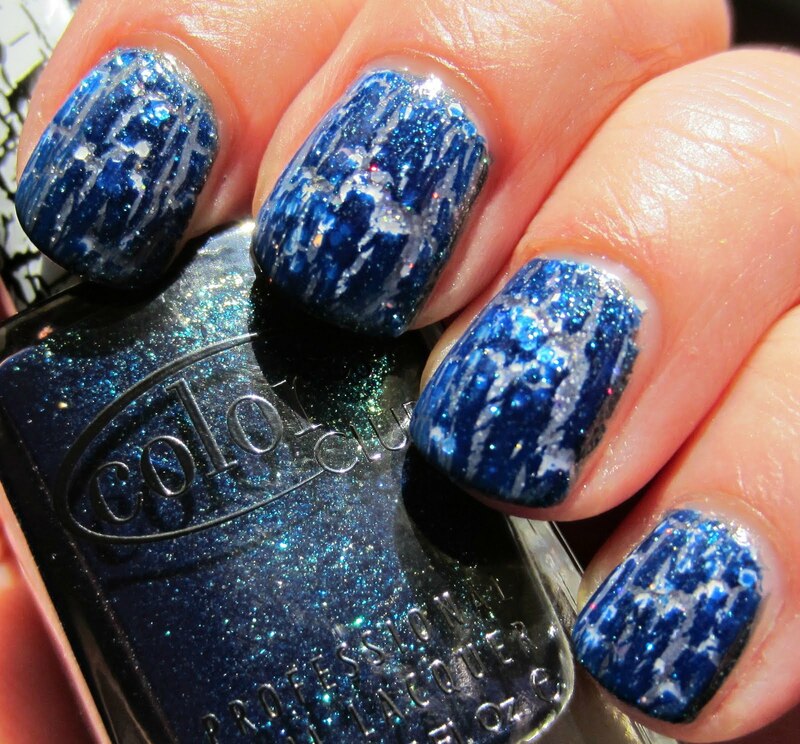 Mysterious Ways, because of the translucent base, only alters the color of your base shade slightly. This makes it the perfect glitter top coat to enhance any shade without drastically changing your base color. This shade had a very good formula that was easy to apply, and the glitter dispensed evenly without any manipulation. Here are a couple of macro shots taken of the bottle showing the wide variety of shapes and colors. Just for fun, I used one coat of Color Club's The Great Divide over Mysterious Ways & Mistletoe, which is one of their crackle polishes. 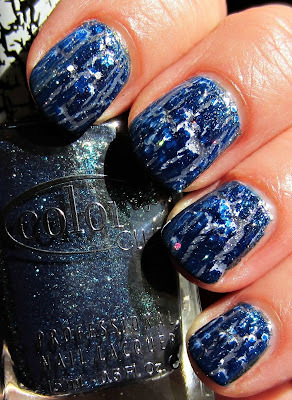 I then topped it off with Glitter Tamer, Lynnderella's clear top coat. I believe Lynnderella's store is now closed, but she is scheduled to re-open again this coming weekend. In case you haven't heard, Lynnderella's polishes will soon be available at Llarowe. December is the target date that stock will be available, and this may help some of you who are International. Llarowe ships worldwide excluding Italy, and they carry a wide variety of products that many of us in the U.S. haven't had much access to previously. Her stock includes Glitter Gal, A England, Ozotics, Hits, Picture Polish, Ludurana, and soon, Lynnderella. She also offers free shipping in the U.S. for orders over $50.00. 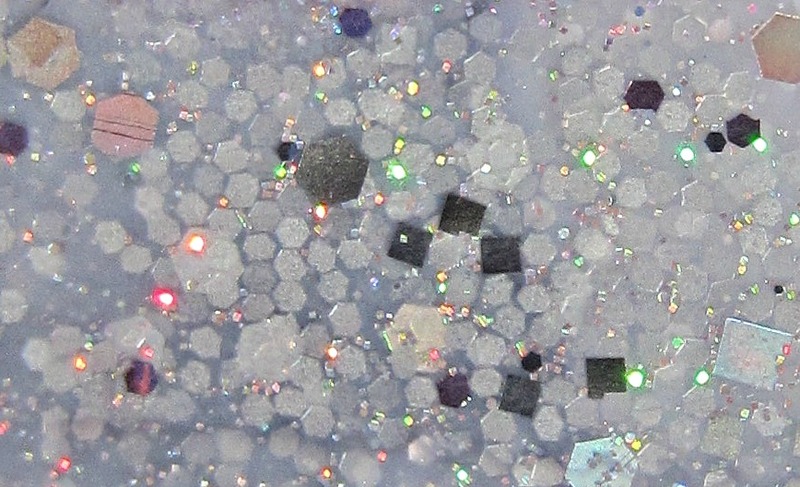 This is such a pretty glitter! stunning! I'm craving for some Lynnderella's polishes! I love that first polish. It's amazing. 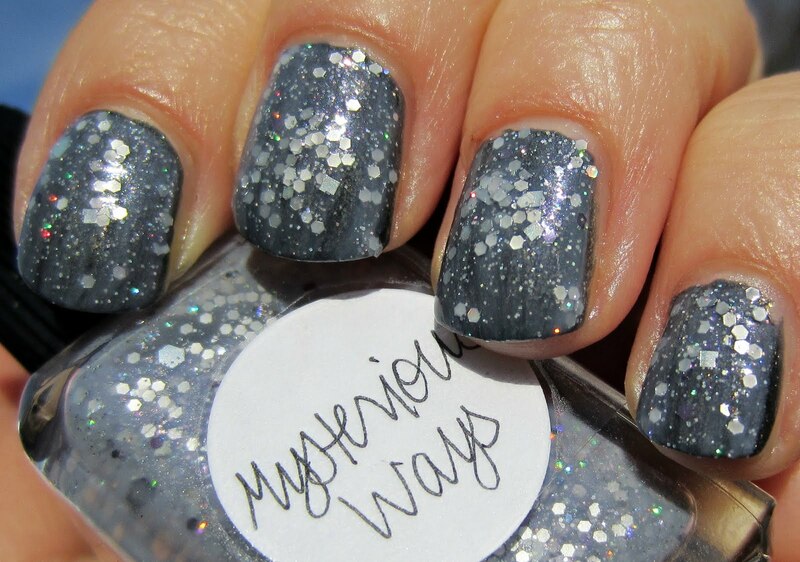 I'm loving the mysterious ways polish. It reminds me of a winter wonderland. 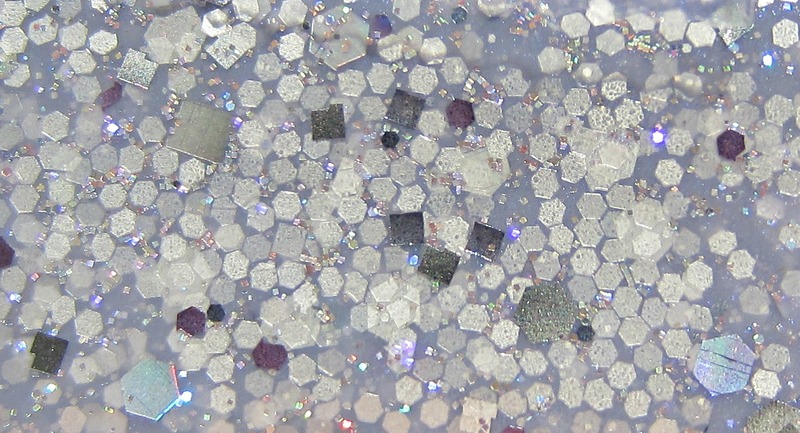 Pretty glitter. I don't like the crackle at all. Sorry. Maybe it looks better in person? Really pretty, my daughter really liked it! I love both of these! i think the 2nd is my favorite because it looks so unique from anything i've seen before!